Receiving this wedding invitation will be like stepping into a fairy tale for your guests! The silver shimmer card is wrapped in a shimmering white band adorned with a fairy tale carriage design in glittering foil. Your wording is printed in your choice of ink color and up to two lettering styles. Glue dots are included for securing the band. wedding is fairytale cinderella so this is right there. i love love this! even my fiance liked it and that says a lot! My daughter selected this invitation and they are perfect! They are a simple, elegant Disney themed invitation. Everyone commented at how beautiful and different they are. Wonderful keepsake made with good quality, sturdy paper that should last. 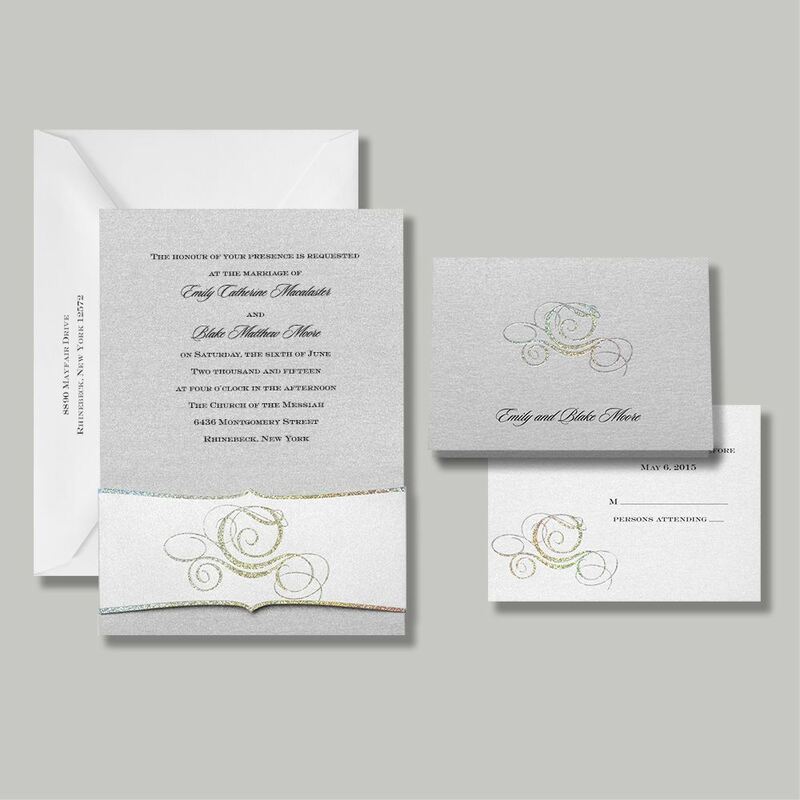 I recommend Invitations by Dawn to have the option to purchase or have included envelope seals either the same carriage symbol or Cinderlla/Prince Charming silouette seal. I think that would complete the look. I definitely would recommend. You won't be disappointed!